Let's talk baby showers! Do you ever find yourself at a loss to find the perfect gift? I certainly do. I want to find gifts that mom will love. I want to find gifts that are unique, fun and still practical. I want to find a gift that isn't just a cute outfit or a pack of diapers. But, where do I begin? One great place to look is Incredibundles.com! So, what are Incredibundles? When Incredibundles recently contacted me about doing a review of this fun service, the timing could not be more perfect. You see, my baby sister is due with her first baby later this month... and once again I found myself at a loss to find the perfect gift. So, I could not wait to start shopping! They offer many great bundles that are already put together for you, which is great for those who are really indecisive or really not sure what to go with. 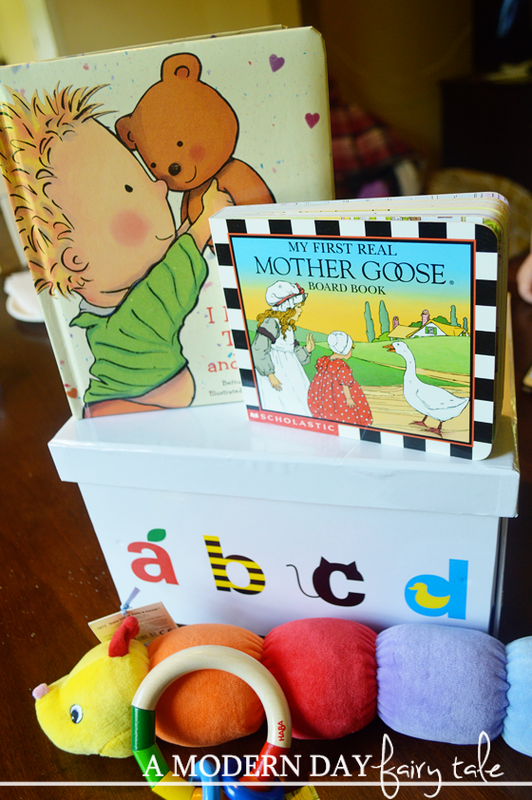 These bundles feature various themes like book bundles, learn and grow bundles, sleep bundles or bath bundles. Within each category, you will find bundles filled with great products fitting with that theme at various price ranges to best fit your budget. But, for those who want to create something a little more personal, you are given the option to build your own. This is exactly what I decided to do! I wanted to build a bundle to cover three main categories: learning, fun and function. My sister had actually specifically requested books at her shower, so I knew I wanted to include a few great books in this bundle. As kids we had a fantastic Mother Goose anthology that we loved, so this sweet 'My First Real Mother Goose' in that same style seemed ideal. I also though 'I Love You Through and Through' would be a great choice for my new niece. So sweet. 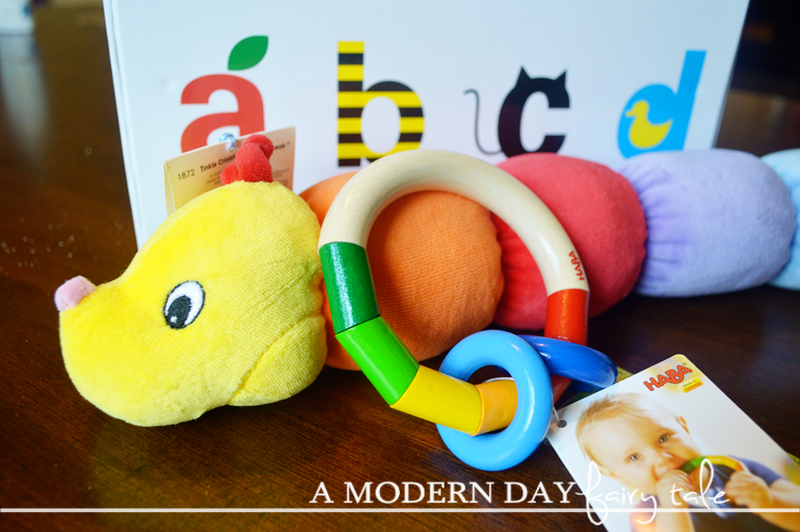 The Tinkle, Wrinkle, Rattle and Squeak caterpillar toy certainly caught my eye! I just knew that this was something my kids would love with its bright colors and fun sensory experience, so it seemed like another great choice. My daughter was also crazy about wooden teething toys so the Kringelring was the perfect finishing touch! Finally, I wanted something that could serve a purpose for more than just a few months (as is the case with many baby items, right?)... and the reusable storage container each bundle can be packed in is perfect! It looks adorable for gift giving, but can be used for storage well beyond baby days- books, diapers, art supplies... the possibilities are endless! Once you've bought your bundle, the only thing left to do is wait! But don't worry, it shouldn't be a long wait. My bundle arrived in less than a week! 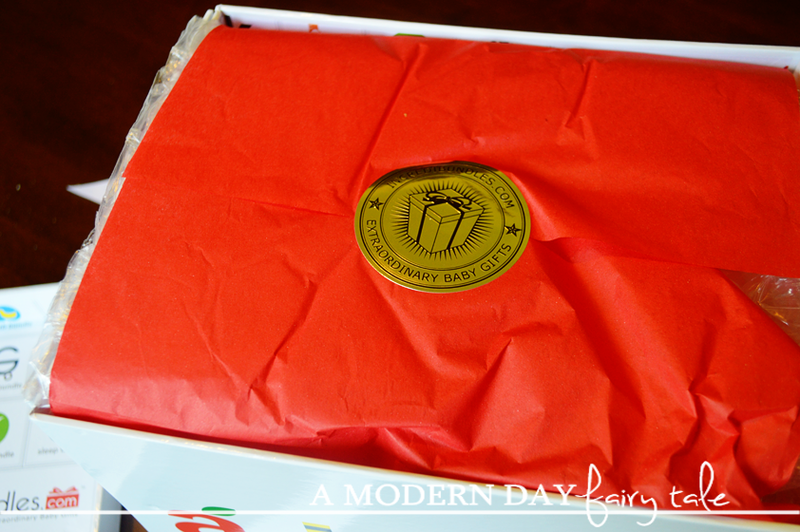 It came perfectly packaged and ready to give- making it truly a fantastic, no fuss way to gift- even perfect for those who live far away! 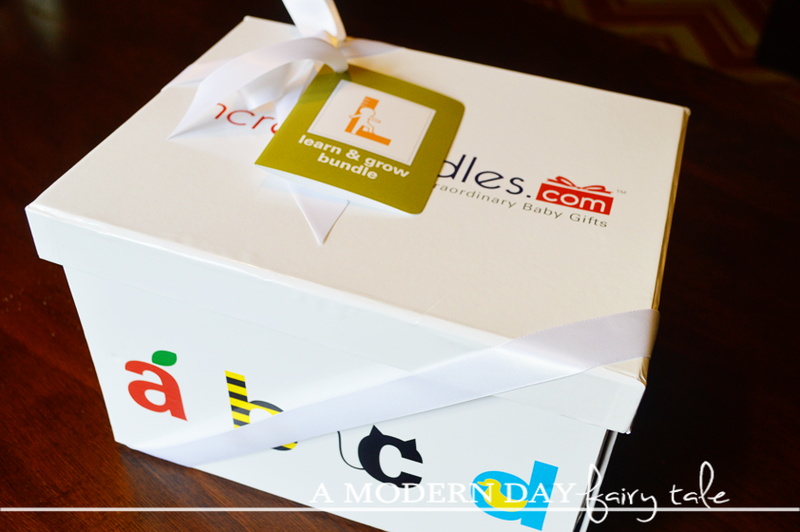 I absolutely loved shopping Incredibundle and cannot wait to gift this awesome gift box to my sister and her new baby!! But I did go and visit through your facebook button on the sidebar! I commented under Jen Zimdars Winiger so you can verify.